Quite a lot can change in 20 years. In 1997, the iPod was still a few years away, Bill Clinton started his second term as US President, and a domain for a search index called 'Google!' was registered. 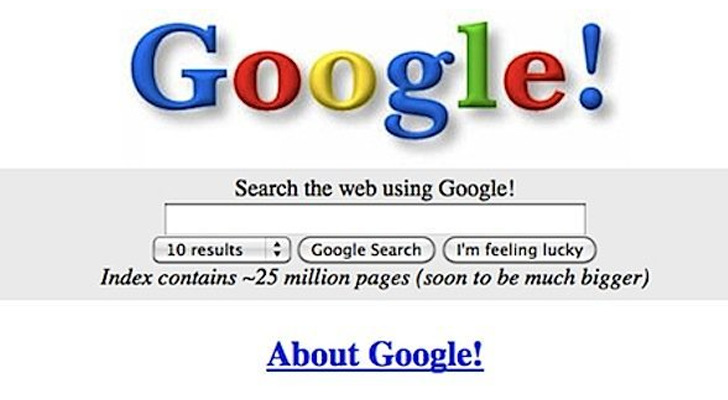 In fact, today marks the 20 year anniversary of Google.com's domain registration. If you look at the WHOIS information for the site, you can see it was created on September 15, with an IANA ID of 292. The domain is currently registered with MarkMonitor, and has already been renewed through September 2020. The company has been in possession of the domain since the creation date, with one exception. Back in 2015, a former Google employee noticed the domain had expired, and quickly bought it through Google Domains. About a minute later, Google cancelled the domain purchase and returned it to themselves (which was completely legal, since they were the registrar in this case). Not very many people can say they owned Google.com.